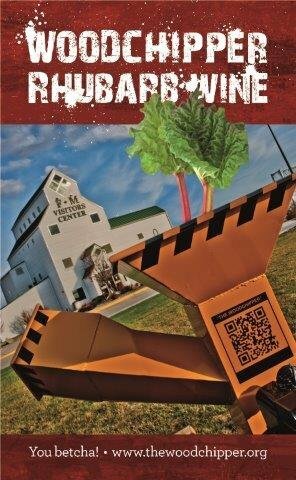 Our North Dakota Rhubarb Wine is one of the most popular wines produced in the Midwest. This semi-sweet wine, produced from a careful blend of hand-picked farm fresh red and green rhubarb reflects back on our heritage. Maple River Winery Rhubarb wine is best described as tasting like grandma's rhubarb pie in a bottle. We recommend serving this wine with light meat dishes or as a social wine when you entertain many people. If you have any questions about this product by Maple River Winery Woodchipper Rhubarb, contact us by completing and submitting the form below. If you are looking for a specif part number, please include it with your message.